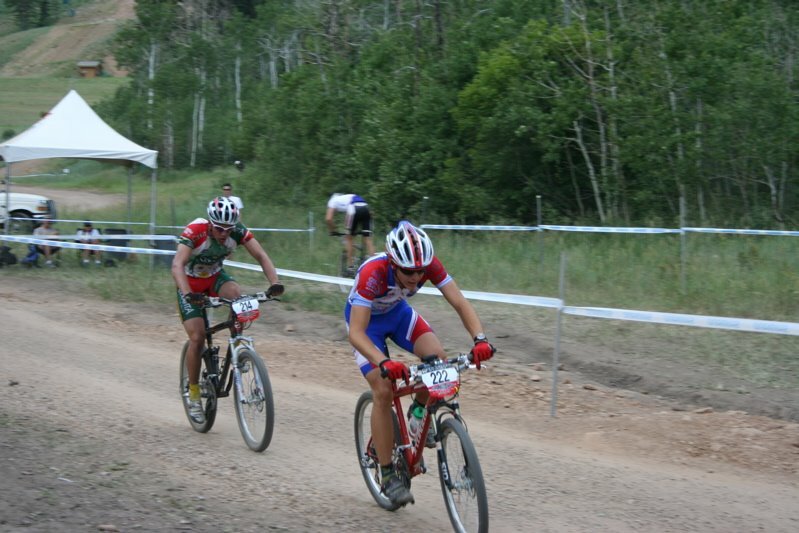 Joe and I went up to Deer Valley today to watch a Mountain Bike race. It was the first one I had ever witnessed, and it was quite interesting. We ended up taking a summer lift ride up to a peak and hiked down 2 miles. We rode the lift the rest of the way down and by the time we reached the resort, the race was over and the award ceremony was going on. By this time we had worked up quite a hunger and I was in the mood for a tasty salad. It's a good thing for us that Park City has a Wild Oats in it, because we always seem to make the best salads there. We made our way over to Wild Oats and hit the salad bar. Next to the salad bar was a cold beverage case and I was delighted to see several flavors of GT's Kombucha stocked in it! It has been a few days since I last had kombucha. The remainder of my last brew had been used up and right now I have two new batches fermenting away. I quickly looked over my choices, and to my pleasant surprise I discovered a new flavor that I have neither tasted nor seen before! GT's Multi-Green Kombucha! I was terribly excited and new I couldn't pass this up. I picked up the bottle and checked out the ingredients on the back. "100% G.T. 's organic raw kombucha, klamath mountain blue-green algae, chlorella, spirulina, and 100% pure love!!!" It reads. I smiled as I thought of how wonderfully healthy this beverage is...Combining the natural beauty of kombucha with the amazing benefits of these super greens. However, I was wary of the taste. Green beverages never strike me as being very tasty, although I have been proved wrong many times. As Joe and I sat down in the sunshine outside and treated ourselves to a feast of salad, raspberries and pluouts, I slowly opened my kombucha and had a taste. I was pleasantly surprised by the flavor! It tasted just like any normal kombucha! Tart, with a slightly sweet undertone and a bit of fizz. The only difference was that the color was green and the flavor was a bit more mellow and toned down. Good stuff! I definitely give this green drink two thumbs up. 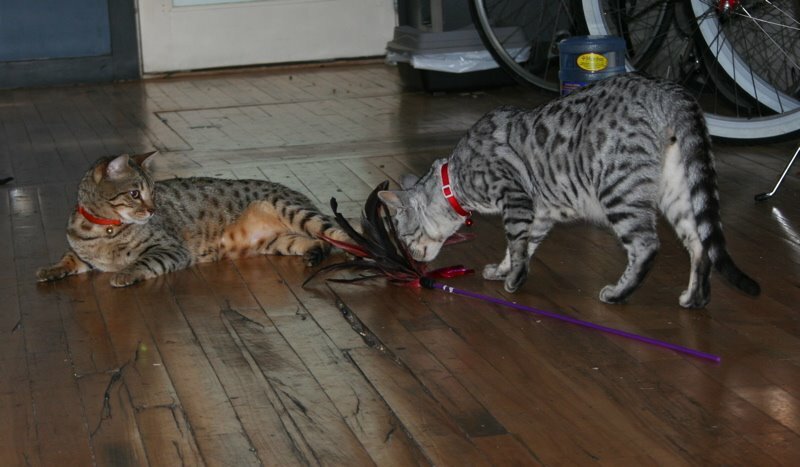 On an unrelated note, we recently brought home another Bengal cat as a playmate for our existing one. Bhajan (brown) and Shardul (white) and turning out to be wonderful friends after only two nights! What a great weekend this has been!